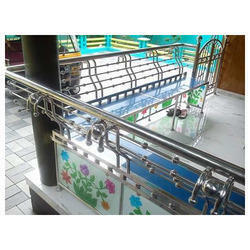 We are well known manufacturer for Stainless Steel Balcony Grill. We are one of the leading suppliers of a wide range of Stainless steel Grill Works. Under the guidance of our expert professionals our range of products is quality tested. These products are offered to our clients at industry leading prices. The products offered by us are available in M.S , aluminum or stainless steel. 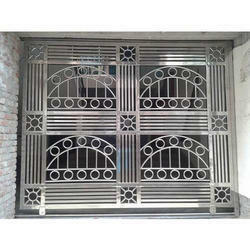 We offer premium quality Mild Steel Grills, which are fabricated using high grade stainless steel. These grills are designed in such a way that add elegance to the decor. Our clients can avail these grills at competitive prices. Besides, these grills are highly acclaimed for its sturdy construction and high strength.